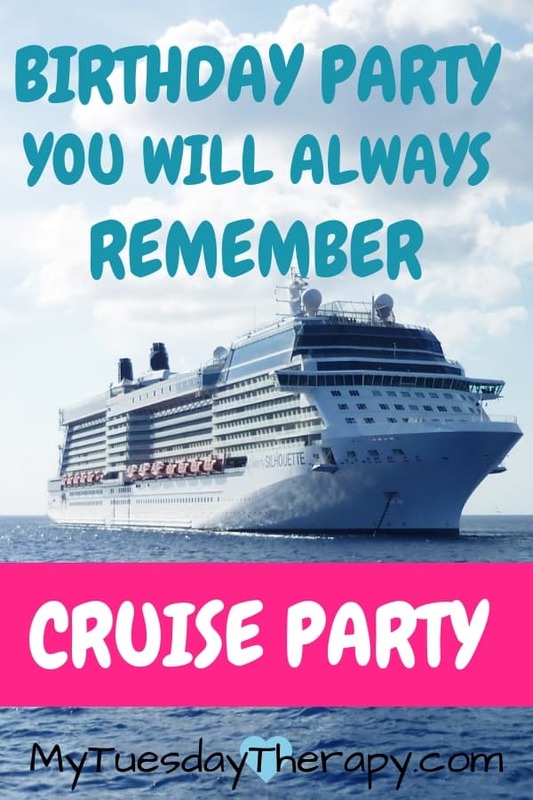 Cruise Party - A Nautical Party You Will Never Forget! 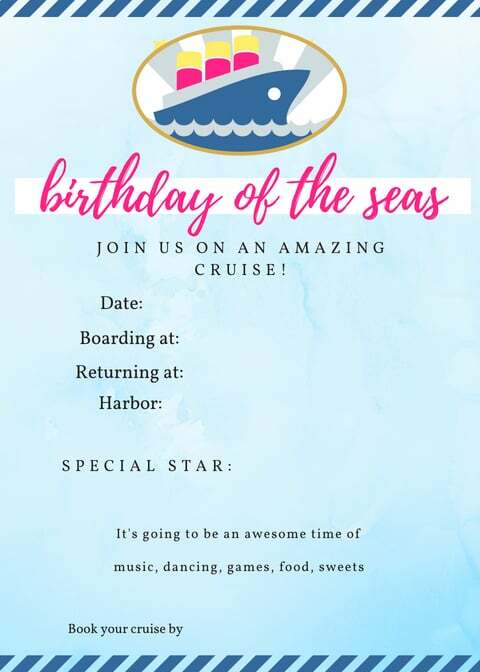 Cruise Party – A Nautical Party You Will Never Forget! Welcome aboard! 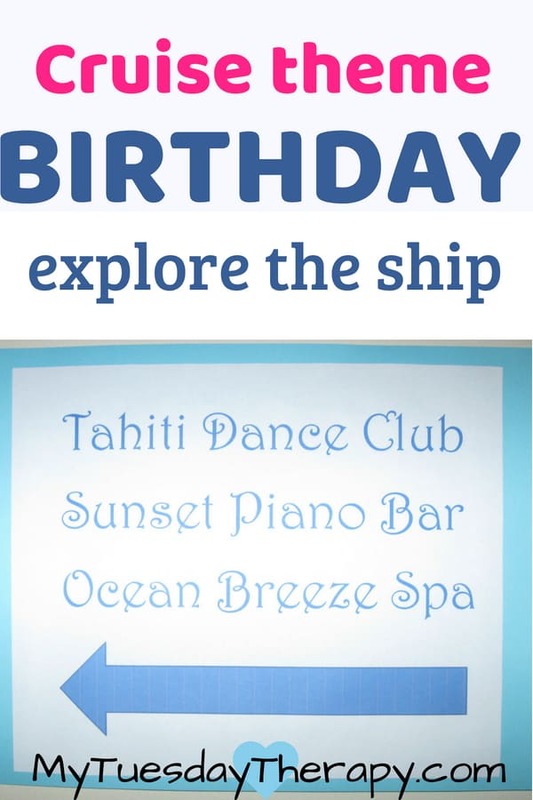 Go on an imaginary cruise on your birthday! 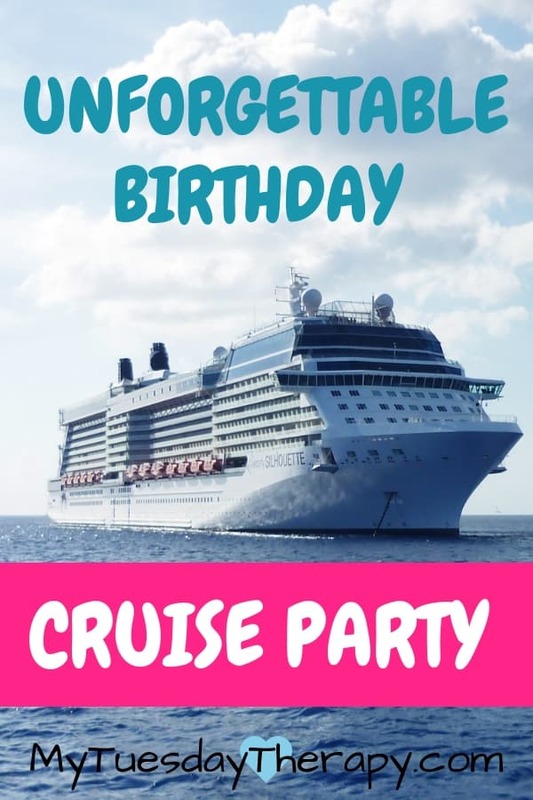 An unforgettable cruise party that offers the birthday star and the friends entertaining party games and activities and lots of yummy food. I’d call this a frugal birthday party idea. Easy? It depends. You don’t need to make complicated crafts or cakes for this one. 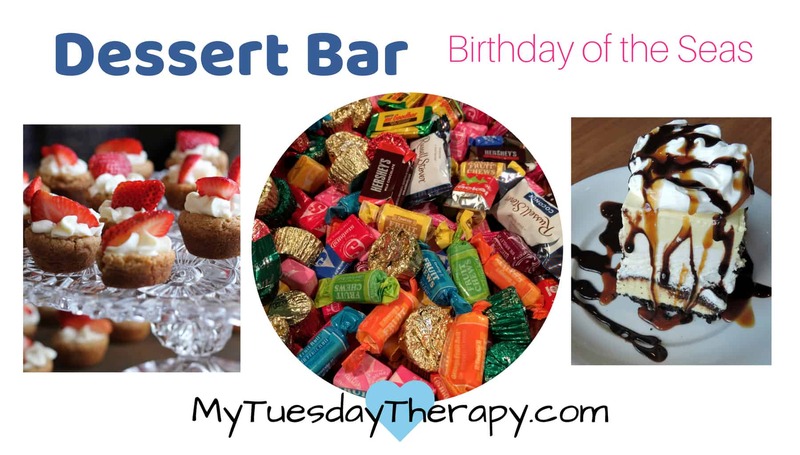 We had so much fun with this party and I’m sure you will too!! Invite the friends over by sending them a cruise advertisement. This party requires cool nautical decorations! Nautical 18×18 pillow cases that won’t break the bank but will look amazing on your “cruise ship”! 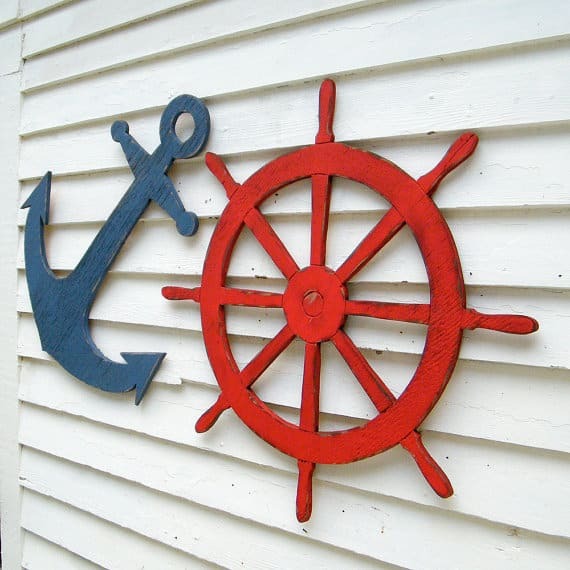 Another inexpensive nautical decoration idea for your amazing cruise party: life buoy! Welcome the guests on board with a “Welcome Aboard” sign. We made a sign with card stock. Taped the pieces together and glued them to a ribbon. The ribbon was between two pieces of card stock. The other side said Good Bye. Lots of lights. Since our party was in the evening when it was dark we used Christmas lights to create a fun atmosphere. White lights taped to the baseboard on the staircase. Blue lights attached to the window ledge in the Dance Club and Piano Bar. Lights behind a lace curtain that we hung up in front of a book case in the Piano Bar. We had recently gone on a cruise from Finland to Sweden. We displayed those photos. It is a short two night cruise but so much fun. 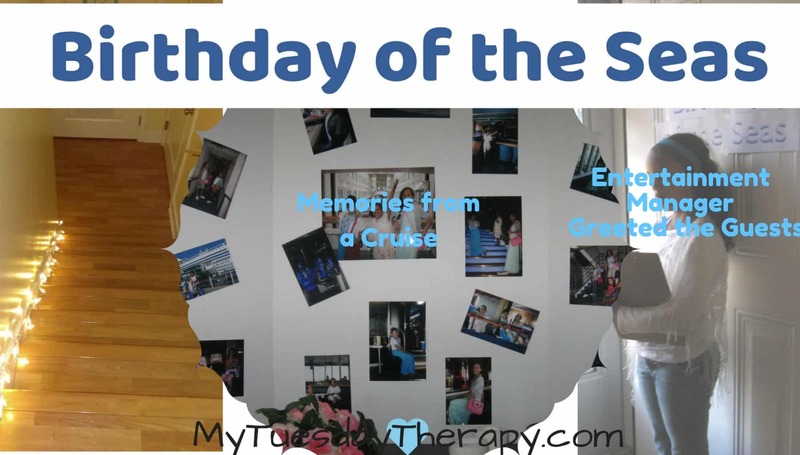 If you are ever in Finland or Sweden you should consider going on this fun-filled cruise. We used pretty much the whole house to host this 13th birthday party. It was fun to label various rooms with signs. 1. In addition to the Welcome Aboard/Good Bye – sign we placed signs all over the house for the various cruise ship locations. 2. 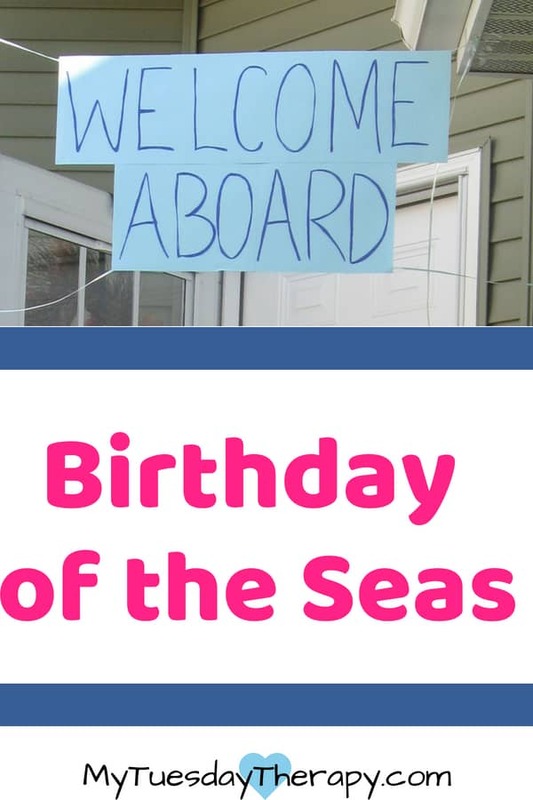 Birthday of the Seas – the name of the “ship”, on the front door. A sign to direct guests to various places on the ship. I had two helpers Cruise Director and Entertainment Manager. Our cruise colors were white and blue so the crew wore those colors. Entertainment Manager greeted the guests at the door and Cruise Director took a photo of each guest on arrival. Then she directed the guests to the customer service to drop off the gift. Also as the guests arrived we played some music. I played the theme song for the Silja Line which is a cruise line going between Finland and Sweden. Of course nobody else associated the tune with that but I did :). The guests gathered at Tahiti Dance Club and chatted or played Spot It until everyone arrived. “May your journey through life be clear sailing…” See the entire cool toast at Birthday Messages. I had asked a couple of the guests if they would be willing to play the keyboard. So while they played the guests wrote messages on a picture frame mat for the birthday girl. We took group photos and photos of the birthday girl with each guest. A pretty beach scene served as our backdrop. You can find some inexpensive ones at Party City. This is a fun way to entertain the guests! Kids, even teens and tweens like “would you rather” questions. So we did a couple of rounds of Would You Rather questions. The great thing about cruise ships is the food! It is nice to have various options to choose from. Play some nice background music during the dinner. After dinner it was time to open presents. Everyone was handed a paper that had the birthday girl’s full name written on it and they were asked to look for items that begin with those letters. I scattered glow in the dark rings around the yard. We sent the girls to look for them. They had to find one of each color in certain order. In the Ocean Breeze Spa we had a sugar scrub ready to be used whenever they wanted to. But they all wanted to do it together so into the Spa they went. 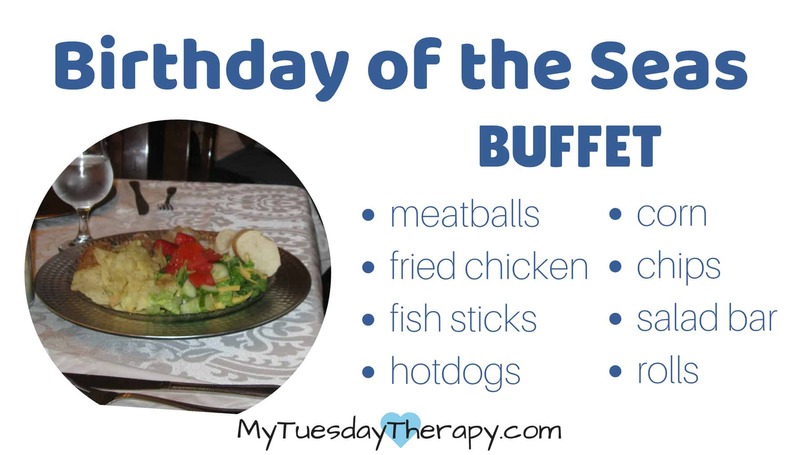 I wanted to have some time between the dinner and the dessert so we did the above mentioned activities then headed back to the Atlantis Buffet for a Dessert Bar. The girls enjoyed chatting while eating their desserts and they also played the Telephone Game. You know the game where the first person whispers something to the girl sitting by her, then she whispers the same thing to the next one and so on. The last person says it out loud. This can be quite hilarious if you have a lot of guests. Every cruise has an entertaining show! So did ours. My daughter has lots of friends who love acting so I did not ask them until at the party if they would like to be part of a skit. And everyone I asked was excited! I searched for short, funny skits and found a great site called Drama Notebook. They have many fun stories to act just choose what best fits your crowd. The Entertainment director welcomed everyone to the show and introduced the actors. 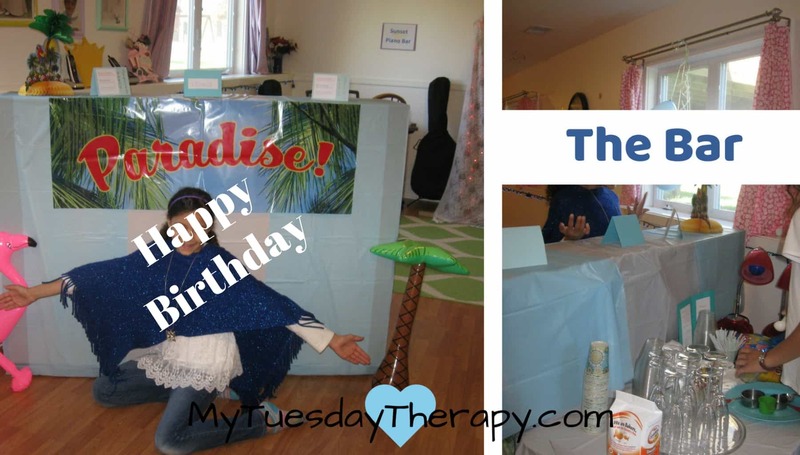 The actors and the audience loved this fabulous birthday activity idea! Most girls love to dance and certainly the ones we had at the party did. Put together a playlist and turn the music on and open the bar. At the Dance Club we had a bar. We draped a couple of plastic table cloths over a bookcase. On the other side we had a table for the bartender to mix the fun drinks. 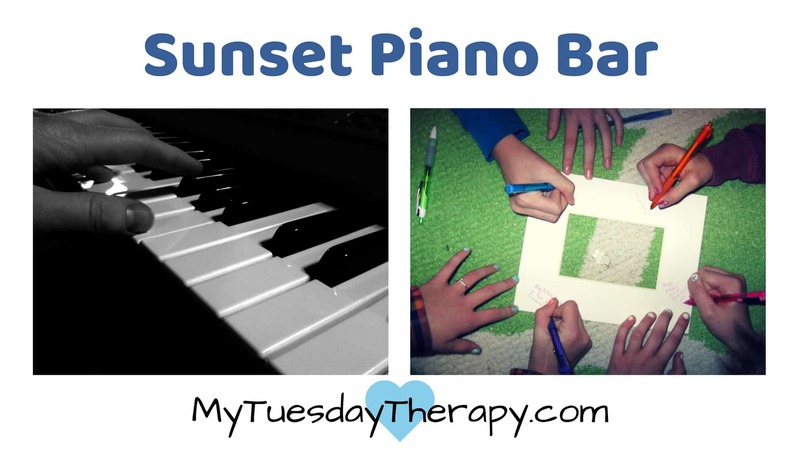 Behind the Tahiti Dance Club is the Sunset Piano Bar where a part of the program took place. The girls had about an hour and half of free time to dance, chat, and to play truth or dare. Come up with your own or check out these truth or dare questions from Mom of 6. It was a Great Cruise Party! I’m sure yours will be fantastic too!! Awesome way to create lasting memories. Aloha! Time to Put on The Grass Skirts and Play Awesome Games! Charlie Brown Thanksgiving – A Party You Don’t Want to Miss!